Live and on-demand webinars covering all aspects of transplantation. Register for upcoming webinars or view archives. This series details all elements of Quality Assessment and Performance Improvement (QAPI) including the new Focused QAPI worksheet, adverse events, the new mitigating factors regulation, and more. This series is the second phase of instruction in the development of a transplant and OPO administration program; focusing on quality, operations and finance. This book covers the basic functionality of the immune system, the latest developments in immunosupressive drugs and protocols, and emerging technologies in the field. 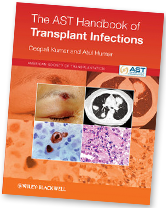 Perfect for quick reference, this book will help you to combat and treat post-transplant infections. 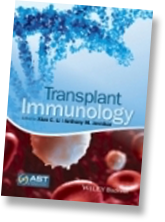 AJT is the joint journal of the AST and the American Society of Transplant Surgeons (ASTS). Access your subscription here. The ID guidelines reflect the evolution of the discipline and inform current clinical practice. Solid organ transplantation is a multidisciplinary field, leading to a diverse community of professionals within the AST. As a result, it is often necessary for trainees to have extensive knowledge of all areas of transplantation—not just their specialty. While clinical training in transplantation exposes trainees to various specialties, additional educational curriculum that encompasses all areas is highly beneficial. Comprehensive Trainee Curriculum (CTC) is a great way to expand your transplant knowledge. This feature is an online educational platform that features dozens of webinars on various concentrations of transplantation.